A malignant growth or tumor resulting an uncontrolled division of cells. PHYSIOLOGICAL (NORMAL MECHANISM): The human body is made up of trillions of multiple types of cell which is known as basic structural unit. As every structure have its own life period up to which it lives. The cell has also the same. Therefore the nature has provided cell, the ability to divide & make its offsprings, expect of few type of cells. The cells continuously keeps on dividing & the other cells keeps on dying apoptosis (programmed cell death). This process of division & killing is regulated by certain genes & regulators. There is strict monitoring of these regulators so that the excessive cells are not formed & the excessive cells and not killed. Once there is an abnormality in the regulator the cells starts excessive division here the word cancer begins. GENETIC CHANGES: In normal cells, genes regulate growth, maturity and death of the cells. Genetic changes can occur at many levels. 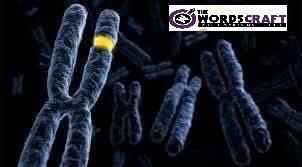 There could be a gain or loss of entire chromosomes or a single point mutation affecting a single DNA nucleotide. ONCOGENES: These are cancer causing genes. They may be normal genes which are expressed at inappropriately high levels in patients with cancers or they may be altered or changed normal genes due to mutation. In both cases these genes lead to cancerous changes in the tissues. TUMOR SUPPRESSORGENES: These genes normally inhibit cell division & prevent survival of cells that have damaged DNA. In patients with cancer these tumor suppressor genes are often disabled. This is caused by cancer-promoting genetic changes. Typically, changes in many genes are required to transform a normal cell into a cancer cell. The term Benign is used in case of tumor which does not have the potential to spread or replicate so fast and does not have the ability to metastasize to the other organs. They are usually not worrisome. The tern Malignant is used in those tumors which are relatively aggressive then benign & have the potential to replicate faster then benign & have the ability to metastasize to the other organs. DNA Virus (HPV, Hepatitis B, C, HSV type II). What if I have a tumor? How can I know that is it benign or malignant? Do I have to wait for a Doctor to tell me? The answer to your question is NO. You can yourself evaluate between the benign & malignant but always remember always meet a doctor for the confirm diagnosis. These signs can give you an idea about the severity of you disease. What can be the symptoms? Yes!! The symptoms can also give the hint. How to investigate a Cancer? For the purpose of spread & Mets. Cancer investigations includes a complete history with a complete physical examination, lab reports & radiology reports. How can I prevent from being attacked from Cancer? Cancer prevention is an important topic to be discussed the preventive measures. Certain cancers can be prevented by early detection soon when the changes are about to begin. Early sign or symptom of any condition discussed above if seen in any patient can prevent the person from malignancy. 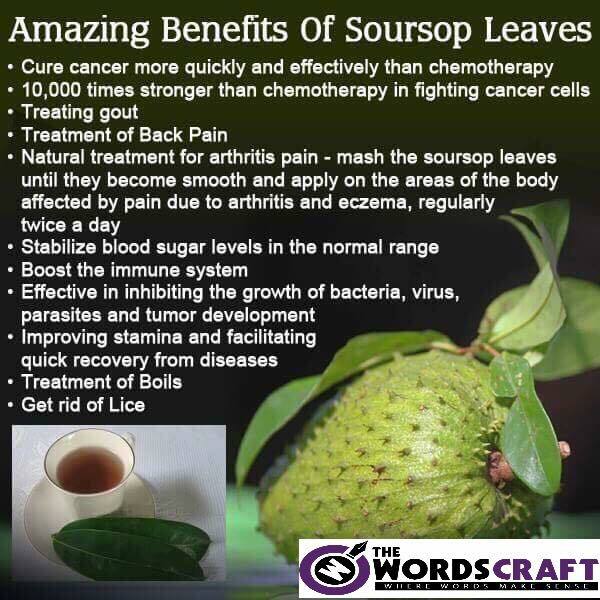 One of the best fruit yet found is know as SOUR SOP and its leave the other name of this fruit is GAYA BANO. How can I get treated form cancer? There are many types of cancer treatment. The types of treatment that you have will depends upon the type of cancer you have & how advanced it is. Some people with cancer will have only 1 treatment, but most people have a combination of treatments, such as surgery with chemotherapy or radiation therapy. You may also have immunotherapy, targeted therapy, or hormone therapy. Thanks for some other great article. Where else may anyone get that type of information in such a perfect means of writing? I’ve a presentation next week, and I am on the search for such info. Outstanding info indeed. My father has been searching for this update.